Southern soul singer Z.Z. Hill was Kent/Modern's main artist in the latter half of the 60s. In 1967 the company recorded him on an LP of soul classics and rightly chose Bettye Swann's hit from only a few months before as one of the tracks. The label may have missed a commercial trick as his male-angle on the marvellous song gave it a new dimension and would surely have fared well as a 45. 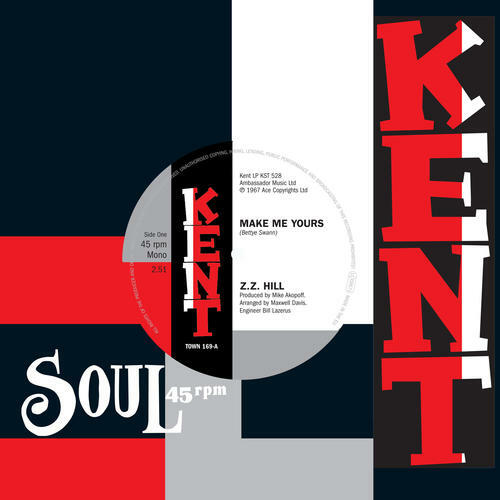 The UK licensors Action Records spotted the song's potential and it was well received, although the much smaller UK soul market of the time could rarely achieve big sales. Since its release more soul fans have become aware of its quality and at last it is available again for discerning collectors. Peggy Woods' classic Northern Soul stomper was first on 45 in 1988 as a 100 Club anniversary single. With only approximately 400 pressed it was inevitable this and other such singles would become sought-after. Here is Peggy in her original glory singing her Kent/Modern masterpiece.